Be brave, be bold and forget about the cold! Blow away the Christmas Day cobwebs by joining hundreds of Boxing Day dippers taking the plunge. Gather your friends and family and get dipping – it may take your breath away, but it is nothing compared to the shock our young people and their families face when hearing the word ‘cancer’ for the first time. 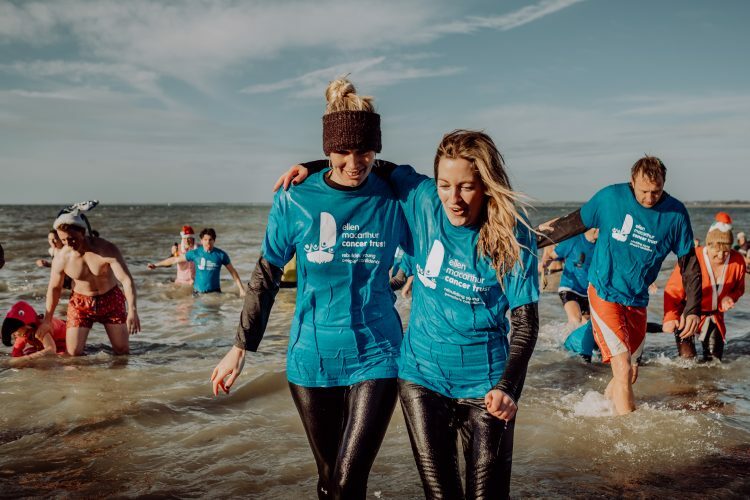 The Isle of Wight dip takes place at Gurnard Green at 11am, and last year well over 100 people from the island and South Coast braved the elements to support young people in recovery. But you don’t have to live on the Isle of Wight to get involved. Boxing Day Dips happen across the UK so if there’s one near you, why not brave it and get cold and wet for us? Or if there isn’t there’s still time to throw your friends in and plan your own! Don’t forget to tag @EMCTrust on Facebook, Twitter or Instagram to show us what you’re made of!